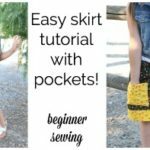 Today, I have a super simple tutorial – How to sew and elastic waist skirt! This kicks off my summer skirt series, there will be a total of 4 different skirts. They will all still have an elastic waist and easy construction, but they will all be a little different and teach a new technique. 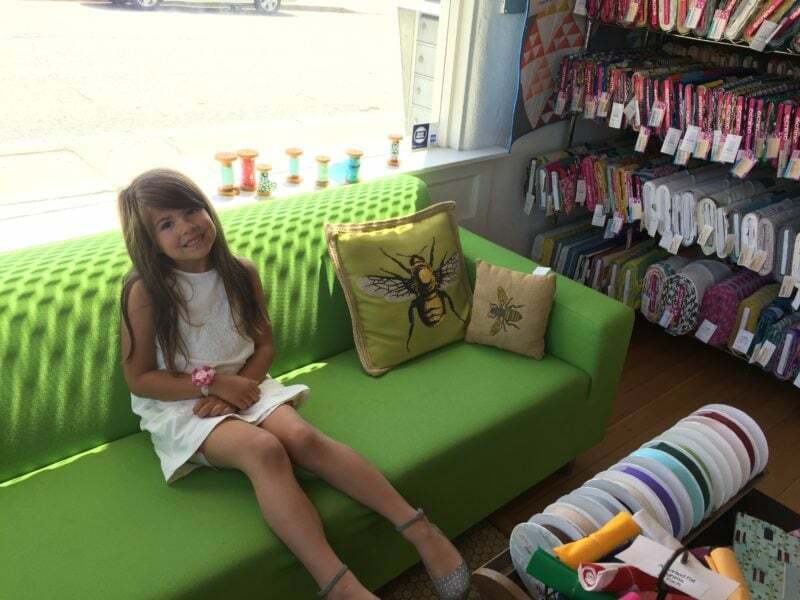 My daughter asked for some new play skirts for summer so I was happy to oblige! 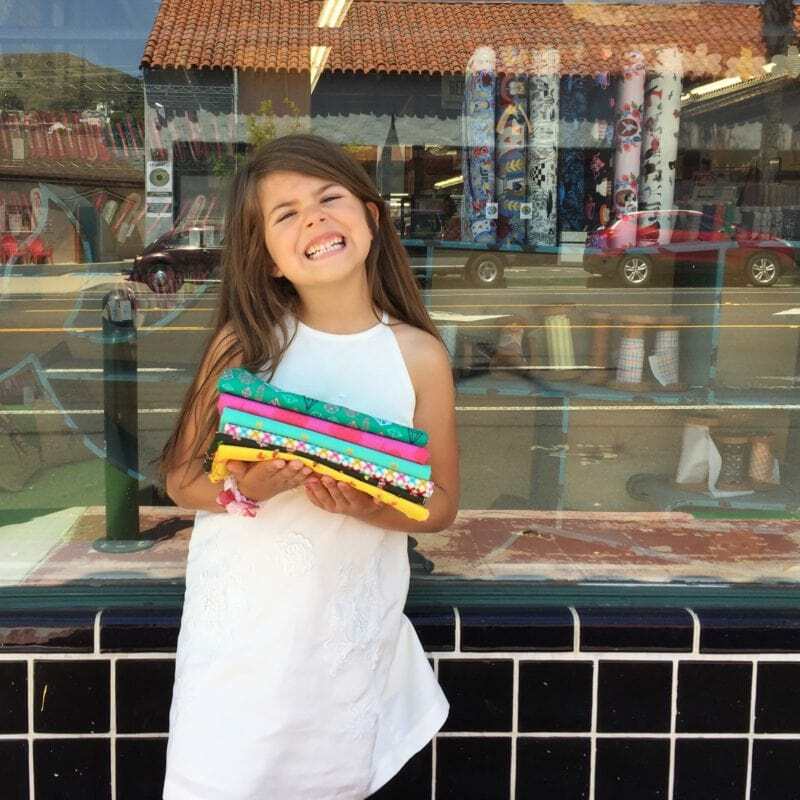 We took a little girl date to our favorite fabric store, Superbuzzy and she picked out a bunch of fabrics for new skirts. Scroll down and you will find the free pdf, written instructions AND video tutorial! 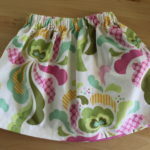 Here is the first of the 4 skirts, this one will be the simplest but they will all still be beginner friendly. Skirt #2 has pockets and an accent fabric! Click the image for the free pdf download!! I will have them below as well. Written Instructions and Fabric Details for the Basic Elastic Waist Skirt. Fabric requirements = 3/4 yard. 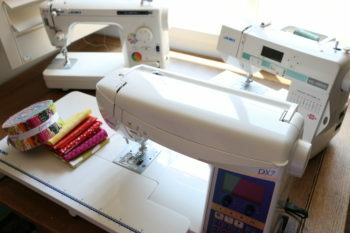 .75 yard = 27 inches, so you can cut 24 x 21 and use up almost all of the fabric with very little waste. Be aware that you will loose a little yardage due to shrinkage during the prewash process. I used a 1 yard cut in the video. *Use this information and determine how much fabric you need based on your measurements. This sewing project is VERY forgiving, so don’t get hung up on your sizing, you can be an inch or 2 off and it will still work! Step 1: Prewash and dry fabric. (I like to wash on delicate and tumble dry low. Press fabric well. Step 2: Cut 2 panels per your measurements. Mine were 24 x 21. Pay attention to direction of print if applicable. Step 3: Sew down both sides of the skirt using a 1/2 seam allowance. No need to back stitch. Serge or zig zag the seams to finish. Pay attention to directional print of fabric if applicable. Step 4: At the ironing board, press the waistband. Fold over 1/4 inch and then again 1 inch to create the casing for the elastic. Pin in place. Use a tape measure or seam gauge to ensure your casing will fit the elastic snuggly but not too tight or too loose. Keep in mind you still need to stitch. Mine was 1 inch. Step 5: While you are still at the ironing board, press the hem. Fold over 1/2 inch and then another 1 1/2 inches or however large you want your hem to be. You have a little wiggle room to do what you like here. This is a good spot for a decorative stitch if you would like to add that. Step 6: Sew waistband. Sew very close to the fold leaving a 1 inch opening to insert the elastic. Step 7: Sew hem. Sew very close to the fold all the way around back stitching at beginning and end. Add an additional stitch for a more finished look if desired. Step 8: Cut Elastic waist measurement. Step 9: Using a large safety pin, feed elastic through casing being careful not to twist. 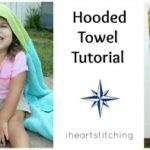 Pull back out the hole and evenly distribute gathers while holding both ends of the elastic. Step 10: Overlap the elastic by 1 inch and zig zag at each end for a secure hold. 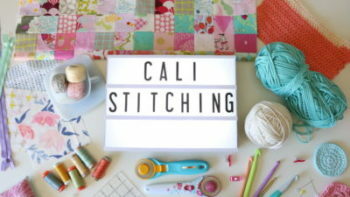 Here is the full video tutorial, It’s basically a sewing 101 class, I go nice and slow and share all the details. We will build on these skills for videos 2-4! *This contains affiliate links. It’s of no extra cost to you, but I earn a very small commission on purchases you make with my links. THANK YOU for the support in this way. 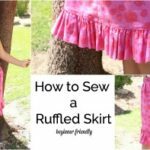 Summer Skirt #2 – Easy Elastic Skirt with Pockets!